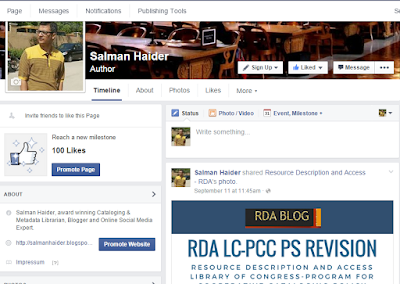 I have created a Facebook Page "Salman Haider Author"
I am using this to share and communicate and discuss my writings on Librarianship Studies and Information Technology, Library and Information Science, Resource Description and Access - RDA, Library Cataloging, Library Classification, Subject Headings, Information Access Through The Subject, Library Management, etc. I write seven Blogs on Library and Information Science: http://salmanhaider.blogspot.com/2015/04/blogs.html Some of these have their own Facebook Pages. I will also post here items which are not covered by RDA Blog, Librarianship Studies and Information Technology Blog, and Information Access Through The Subject Blog. 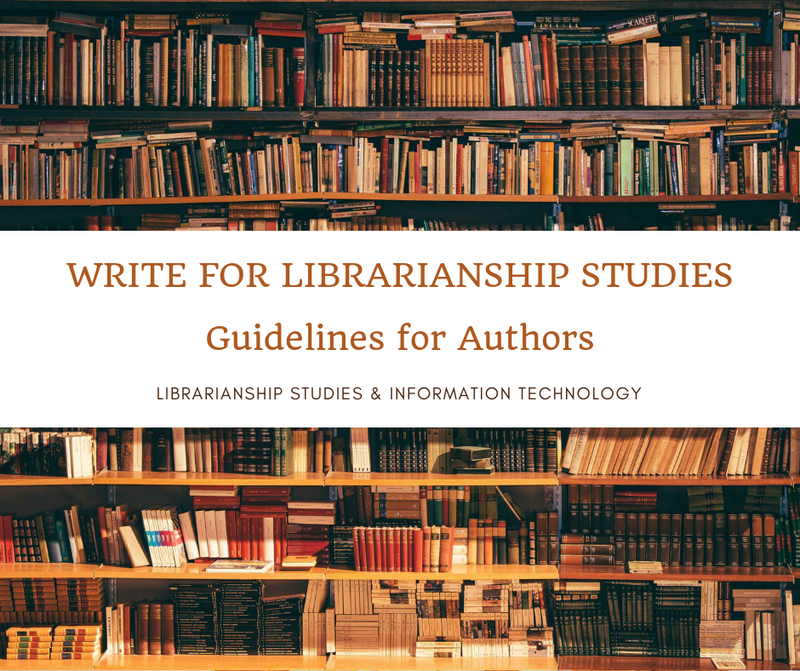 "LIKE" THIS PAGE if you wish to be updated about my research writings on Library and Information Science and Information Technology. I will stop sharing professional communication from my personal Facebook profile after some time; so it is better that you connect with me on Facebook by making a "Like" to my page "Salman Haider Author". Visit https://www.facebook.com/SalmanHaiderAuthor and "Like" this page to connect to me. You can also "communicate" with me on this page on issues and queries related to library and information science and related information technology.